What's new for St Joseph and St Mary Parishes! Aquin’s Annual Canned Food Drive runs through November 19. All donations will be given to FACC to help keep the shelves stocked for those who are in need. If you would like to donate to this cause, you may:  Drop your donations at either of our campus locations Monday-Friday from 8:00am-4:00pm: 1419 South Galena or 202 West Pleasant.  Send a monetary donation to either of our campus locations. Please make checks payable to FACC.  Call the Aquin Office at 815-235-3154, ext 230, and arrange a pick-up.  Email the Aquin Office at connie.gogel@aquinschools.org and arrange a pick-up. Categories: Announcements, Aquin, community, Fe, ministries | Permalink. Aquin PAWS Accepting Supplies for Birthing Kits for Haiti Aquin PAWS is again preparing to assemble newborn kits for the babies in Haiti. The kits will be assembled in late April. We are in need of the following donations: 2 receiving blankets, 15 baby gowns (no feet), 24 pairs of baby socks, 60 cloth diapers, 5 housecoats for the moms (size medium or large), 24 bath-size bar soaps, and 48 diaper pins. Items should be new or gently used. Your donation can be brought to Aquin’s Student Office at 1419 South Galena during regular school hours. Please call Connie at 815-2353154 x 230 if you have any questions. Thank you for your support. Categories: Announcements, Aquin, Catholic Life, community, Fe, Pro-Life | Tags: Aquin High School, Catholic Schools, Catholicism, charity, Freeport IL, Haiti, help, Love, Pro-Life | Permalink. Who: Undergraduate juniors and seniors and graduate students. Candidates must be from rural areas of Michigan, Illinois, Indiana, Iowa or Wisconsin. They must be full time students with a minimum GPA of 3.0 on a 4.0 scale. How much: $3,000/year renewable for a second year. *Additional consideration given to applicants of the Catholic faith. Categories: Announcements, Aquin, community, youth group | Tags: education, GPA, graduate, Juniors, Scolarship, Seniors, svchools | Permalink. 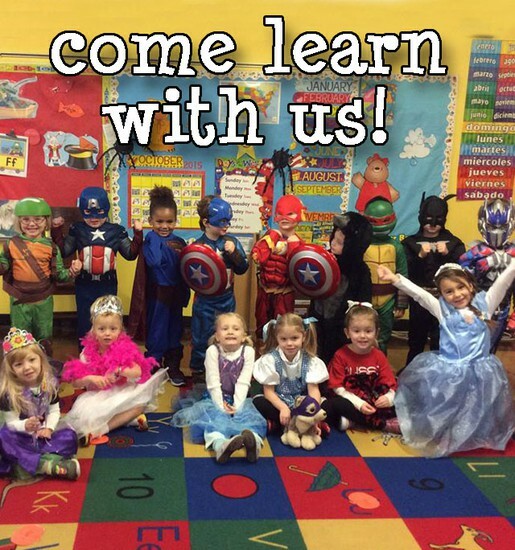 On Sunday, March 11, our Preschool programs at St. Joe’s will host an Open House for new and prospective students. If you have–or know someone who has–students who will be 3-5 next fall, please plan to attend and help us spread the word. Our doors will be open from 11am-1pm and our enthusiastic Mrs. Veitch and Mrs. White will be there to welcome any guests. Older students–who are interested in coming to St. Joe’s in Kindergarten through Grade 6–are welcome also! Categories: Announcements, Aquin, Catholic Life | Tags: Aquin Schools, Cathoilc Schools, Freeport IL, schools, students | Permalink. Illinois’ New Investment in Kids An Aquin Catholic School Education Could Be Possible The State of Illinois has passed the Invest in Kids Act— a new way for families to receive scholarships for those who choose to attend Catholic schools like Aquin in Freeport. Scholarships offered through this program have the potential to cover up to 100% of tuition for the next school year for those who qualify. Apply for financial support through Empower Illinois @ empowerillinois.org. Scholarships will be granted on a first come first serve basis. Empower Illinois will begin accepting applications on January 24, 2018. Visit empowerillinois.org early and often to be one of the first to apply! For more information: Contact Mrs. Rosemarie Brubaker at the Aquin Catholic Schools – rosemarie.brubaker@aquinschools.org or 815-235-3154. Want to Donate to the Fund for a Tax Credit? Beginning January 2, 2018, you can donate to the Invest in Kids Act Scholarship and receive a state income tax credit of 75%. Visit: empowerillinois.org for a step-by-step guide about the program. Categories: Aquin, Catholic Life, From the Pastor | Tags: Aquin Schools, Catholic Schools, children, education, faith, Freeport, goodness, IL, Scholarships | Permalink. Categories: Announcements, Aquin, Bulletin Articles | Tags: Aquin High School, event | Permalink. Aquin Schools will be celebrating Homecoming 2017 beginning Sunday, September 24 and running through Saturday, September 30. This year’s theme is ‘The Avengers of Aquin’. Aquin’s Annual Homecoming Parade will be held on Sunday, September 24 at 3:00pm with line-up starting at 2:30pm. If you–or the business you work for, the team you coach, or someone you know–are interested in participating, please contact the Communications Office at 815.235.3154 x 226 to register. You can also register online by going to the school’s website at: http://www.aquinschools.org/about/homecoming.cfm. Registration Deadline is Thursday, September 21. Categories: Announcements, Aquin, Bulletin Articles, News | Tags: Aquin High School, Catholic Schools, Freeport, Homecoming | Permalink. Happy Easter; He is Risen!